My husband loves to buy furniture in garage sales. When some neighbors decided to move out, it was no different. 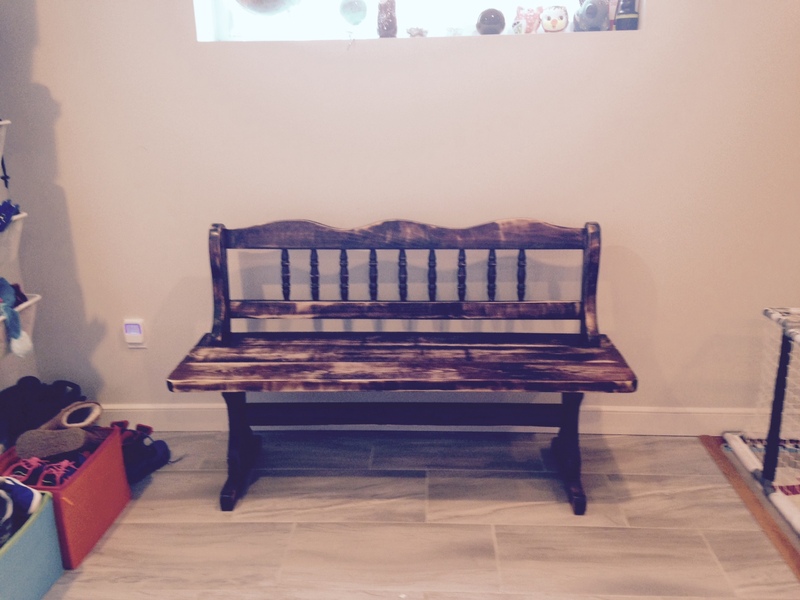 He bought this bench for $20 dollars. 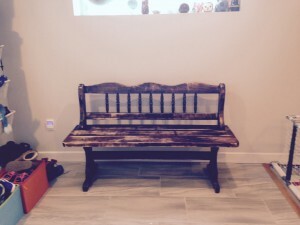 It is a really good solid bench but it was old and the finish was all beat up. I sand it and tried to remove the old finish with some chemicals, but it was taking too long. Also, I wasn’t sure I wanted to leave it in the natural color or re-stain it in some sort of brown. This bench is located in the mudroom by my kids playroom, so I wanted something fun. 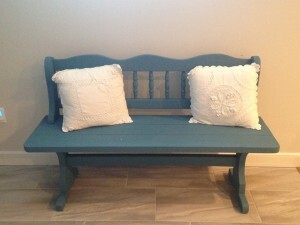 I chose Duck Egg Blue from Anne Sloan. 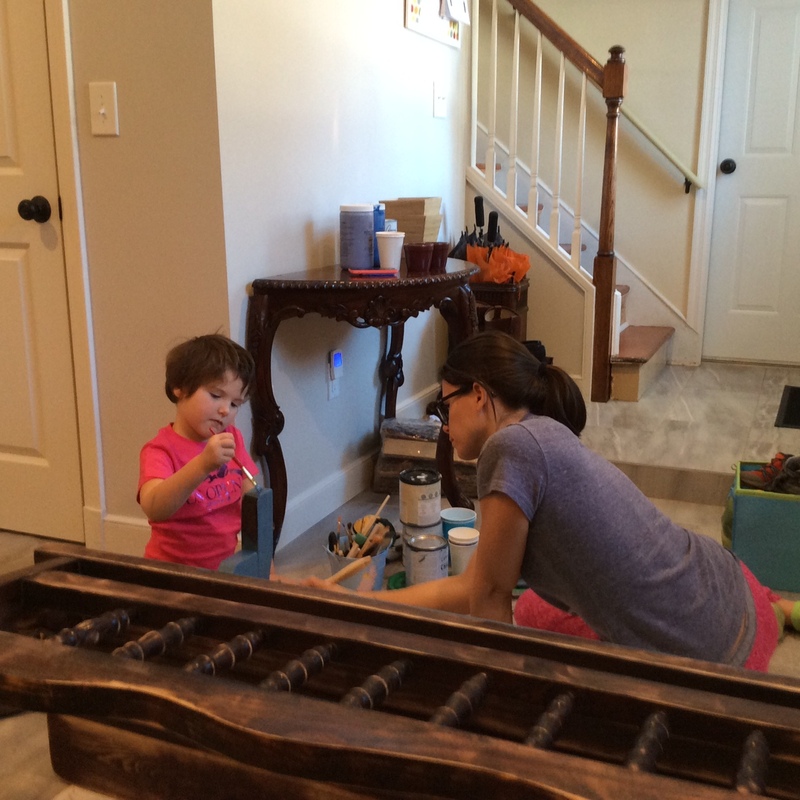 I love working with chalk paint in furniture, it is easy and it doesn’t make a mess plus it you make mistakes while painting it is really easy to fix, which makes a perfect project with your kids have a snow day! Mix 1/3 parts of water to get a smooth finish. Wait 15 days before applying the wax. You don’t have to wait, but I like to wait. So I can fix any defects before applying the wax and I can let the paint to cure well.